Relax on the private beach or enjoy other recreational amenities such as a health club and an outdoor pool. This hotel also features complimentary wireless Internet access, concierge services, and wedding services. Guests can catch a ride to nearby destinations on the area shuttle (surcharge). 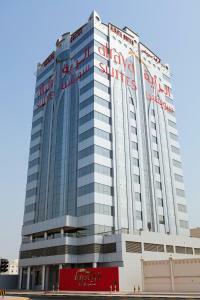 When would you like to stay at Mercure Grand Hotel Seef ? Each day we'll check prices and send you an email for your selected dates at Mercure Grand Hotel Seef. If you don't have specific dates but would like to check prices for say next weekend or say next month we can check the price too. Click to write a review and share your experience of Mercure Grand Hotel Seef with other travellers.